coaching duties to Frank Thomas in 1930. 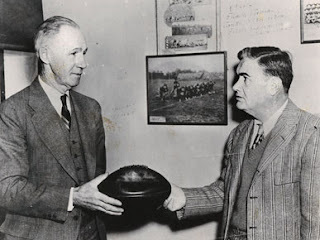 Just more than 80 years ago, Alabama tried the head-coach-in-waiting strategy in order to maintain stability in the football program. In the Spring of 1930 head coach Wallace Wade stunned Alabama by accepting the head coaching job at Duke University. 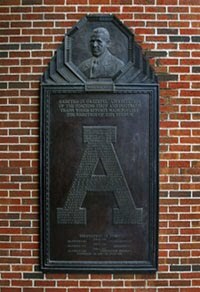 Three months later his hand-picked successor, Frank Thomas, agreed to be the Crimson Tide head coach - after the 1930 season. Wade then lead Alabama to an undefeated season, the 1931 Rose Bowl and a national championship as Thomas waited in the wings. At the conclusion of the season Wade left for Durham, N.C. and Thomas began his fantastically successful 15-year run as the Crimson Tide coach. More on this story is available at Roll Bama Roll.